I have had a really tough time finding nursery bedding that fits the look I'm going for. I found a great site where I could custom design all my crib bedding but I'm not going to dish out over $600 for it. Naturally I went down the DIY path. 1. 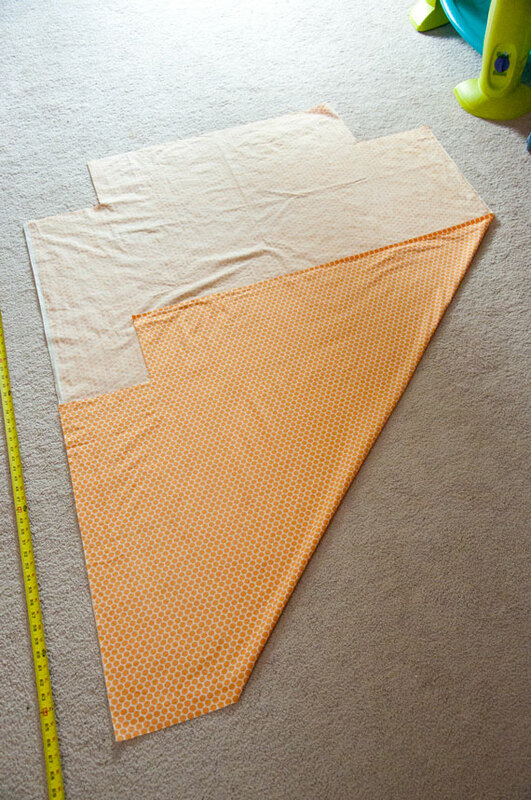 Cut your fabric into a rectangle 45" wide x 69" long. For most fabrics, this will mean that you use the entire width of the fabric, including the selvage (edge of the fabric that comes finished from the manufacturer). 2. 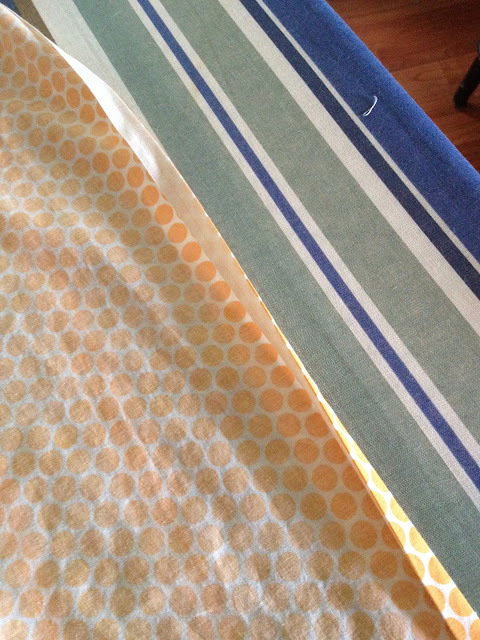 Fold over your fabric the long way, matching the corners together (does not matter which sides are touching). 3. Using your ruler (or a square you've drawn and cut from paper as a pattern), draw an 8" x 8" square on both corners (not on the fold. 4. 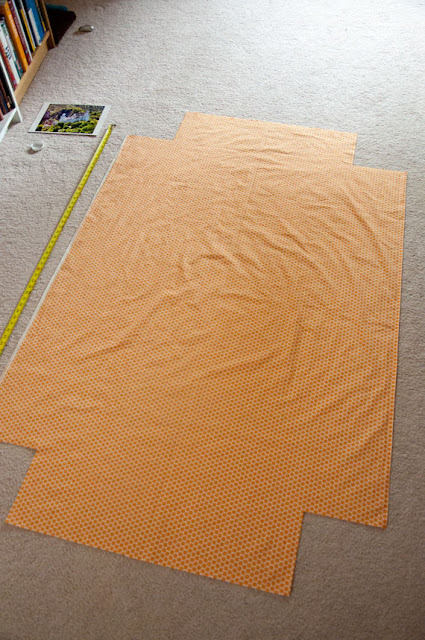 Cut out the 8" x 8" square from each corner. 5. On the crib sheet I used enclosed French Seams, first fold the corners WRONG sides together. You are matching the raw edges of each corner cut. 6. 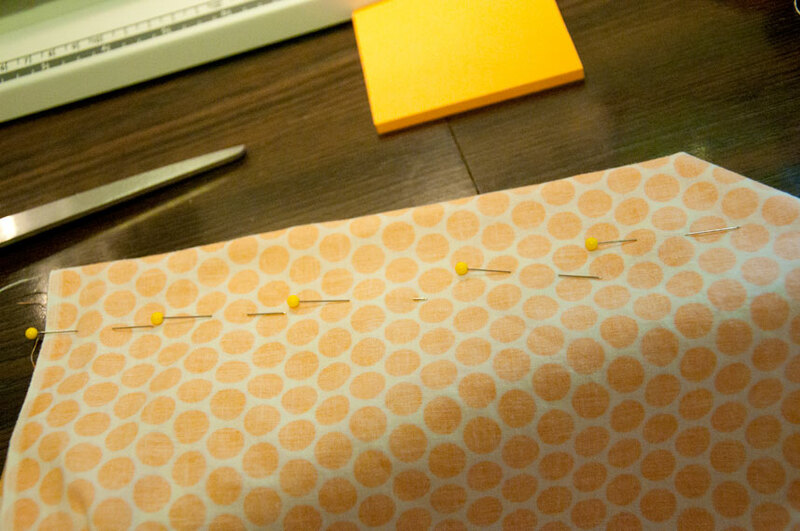 Stitch, using a ¼" seam, wrong sides together from top to bottom.Trim down the finished seam allowance to 1/8". 7. Make this seam at each corner. 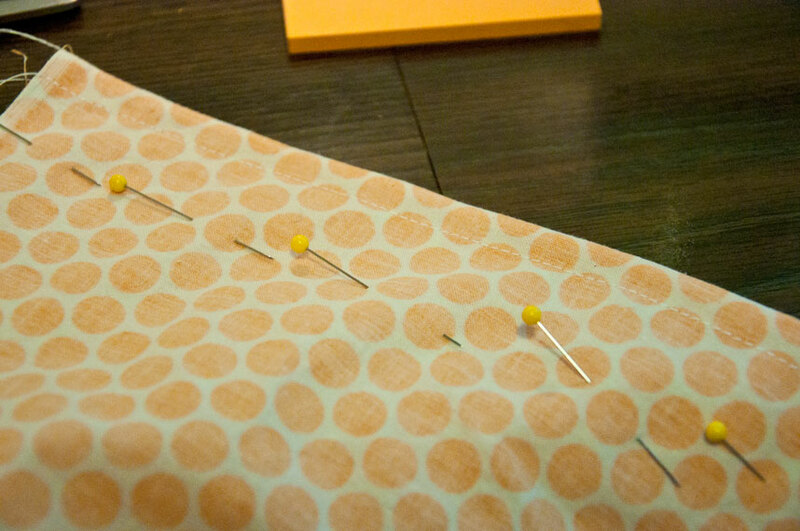 8.When all four corners are finished, turn the sheet wrong side out (right sides together), and re-pin each corner for an additional seam. You are making the same four seams, but now the fabric is right sides together and you will be encasing your original seam in the new seam. Pin each corner seam in place. 9. 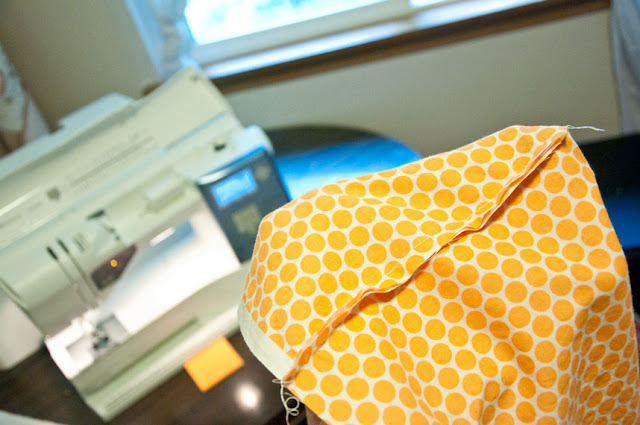 Using a ¼" seam allowance, stitch together from top to bottom. 10. 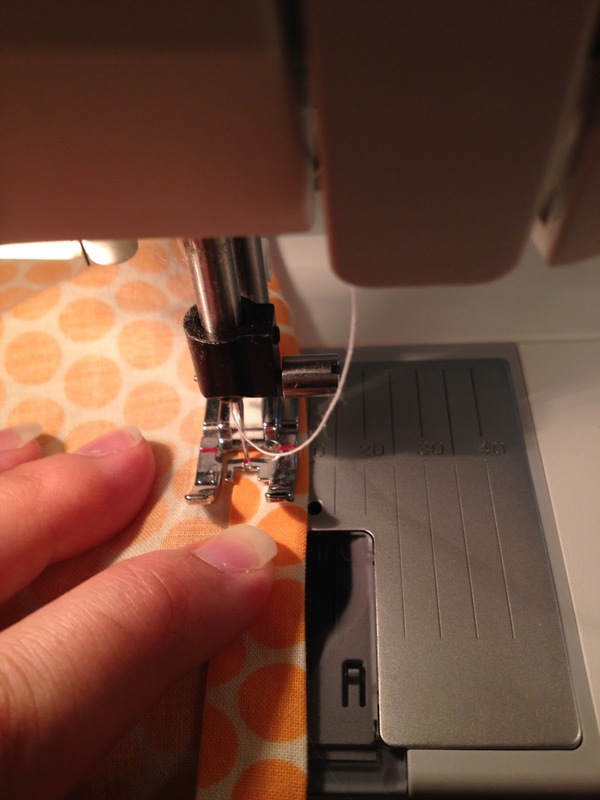 To create the casing tunnel, make a 3/8" double-fold hem. 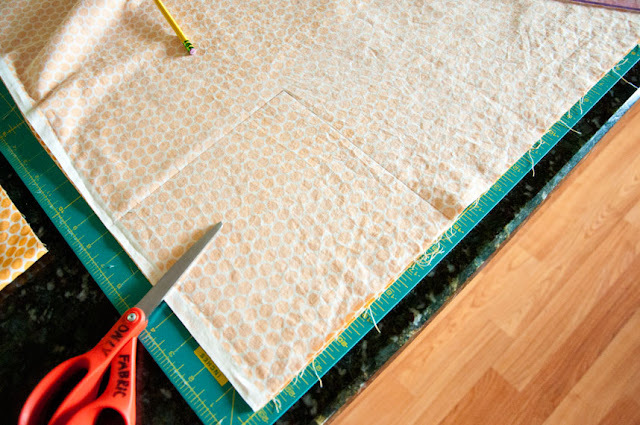 To do this, fold under 3/8" and press all around the bottom raw edge, then fold under and press an additional 3/8". stitch along hem fold using part of the foot as a guide making sure your straight stitches is rather close to the top of the hem. 11. Cut the elastic to a 60" length (I think I'd add 5-10 inches on my next crib fitted sheet). ***From others who have used this tutorial and from making several more 65"-66" seems to be the sweet spot. 12. 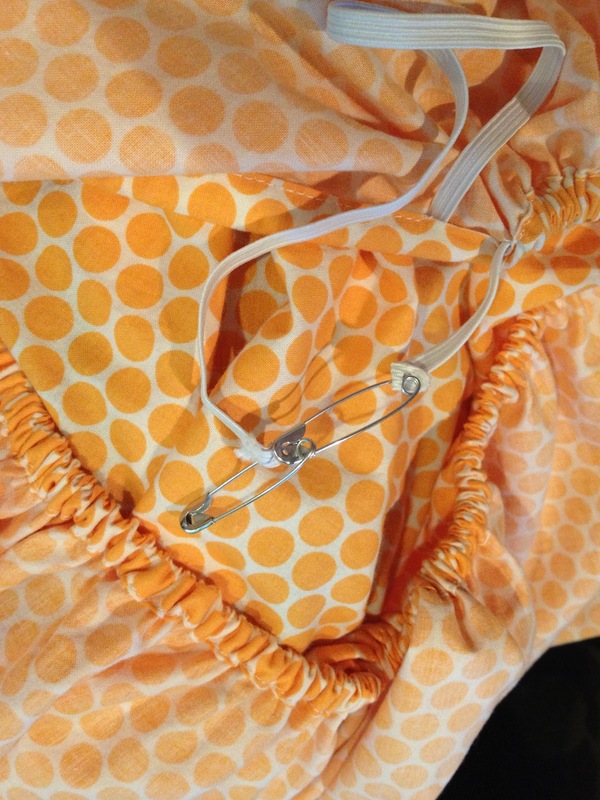 Attach a safety pin to BOTH ends of the elastic, the guide safe pin pinned as an extension of the elastic and the pin on the end of the elastic being fastened perpendicular to the elastic. Slide the safety pin into the opening of the casing and work it all the way around until it comes out again through the opening. The perpendicular pin should prevent the elastic from slipping into the casing tunnel from the end but be mindful. 13. When safety pin comes out of the other side of the tunnel opening, remove the safety pin and overlap the two ends 2"- 3". 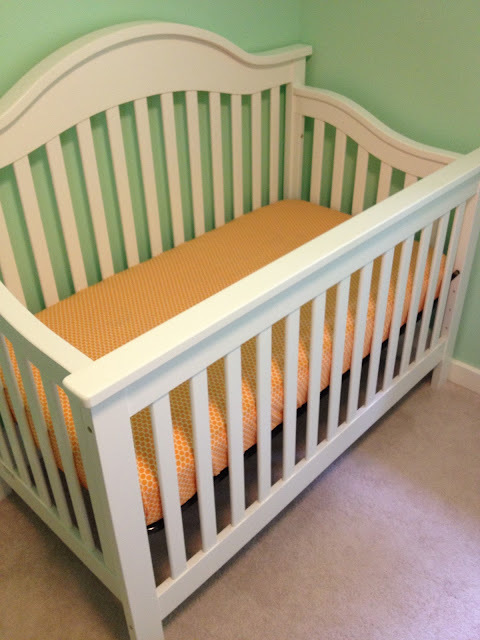 Secure with several rows of zigzag stitching. Several rows of stitches will help prevent the elastic ends from pulling apart from all the frequent washing and stretching. 14. 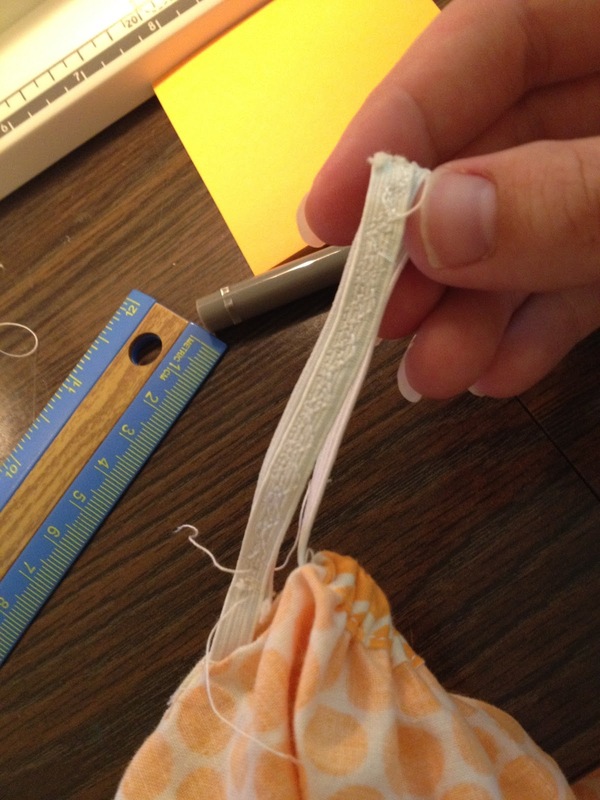 Pull the tunnel hem straight so the remainder of the elastic disappears inside the tunnel. 15. Stitch the tunnel opening closed the same way you stitched up the hem, matching your new seam to the start and end points of the existing seam. The first time I inserted the elastic in to the casing tunnel I lost the end inside the tunnel so attempt two I added the second safety pin. The hardest part for me was honestly stitching the thin strip of elastic. It was hard to keep them stacked. Here is the moment of truth! The fit! I've decided that the elastic isn't too tight since I know you want a snug fit so that baby cannot pull the sheet off the mattress. However, I thing I will add a few more to the next one I make just to make putting the sheet on a touch easier! Hope this inspires you to make your own sheet! I am far from being an experience sewer and this was a project that turned out to be much easier than I initially expected it to be! Looks good...although I do have a question about one part and will ask when I see you! Cool idea though! Loving those french seams! Great job! The dots are super cute. Thanks for the post! I made one for my daughter's room...so much cuter and cheaper (so long as you know how to sew!) than storebought ones. Thanks for the post! I made one for my daughter's Hawaiian-themed room. So much cuter than what I could find online or in-store (and way cheaper, too!). Thanks for letting me know this was helpful! Is there an online source for the 1/4" elastic? Thanks so much! The instructions were perfect - I went with 65" of elastic per your suggestion and it fit like a glove. The new grandbaby now has oh so cute John Deere sheets. Oh good! That's wonderful! Thanks for letting me know! Just out of curiosity (first time mom here) - was this made for a 28" x 52"crib mattress? 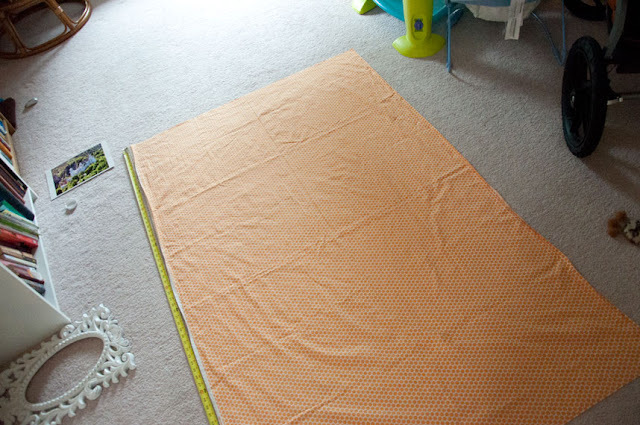 I've been searching for an easy to follow tutorial for a fitted sheet and yours was perfect! Thank you so much for sharing, and thank you for the advice to use extra elastic. I used 66" I think and it's great! Thank you again!! Aw Jennifer, I am so sorry that I never responded! Standard crib mattress, so if that's the standard size than yes. So glad you loved it! I'm just coming back to this tutorial myself to make some more sheets since baby no.2 is coming next month! Glad to hear the 66" worked!